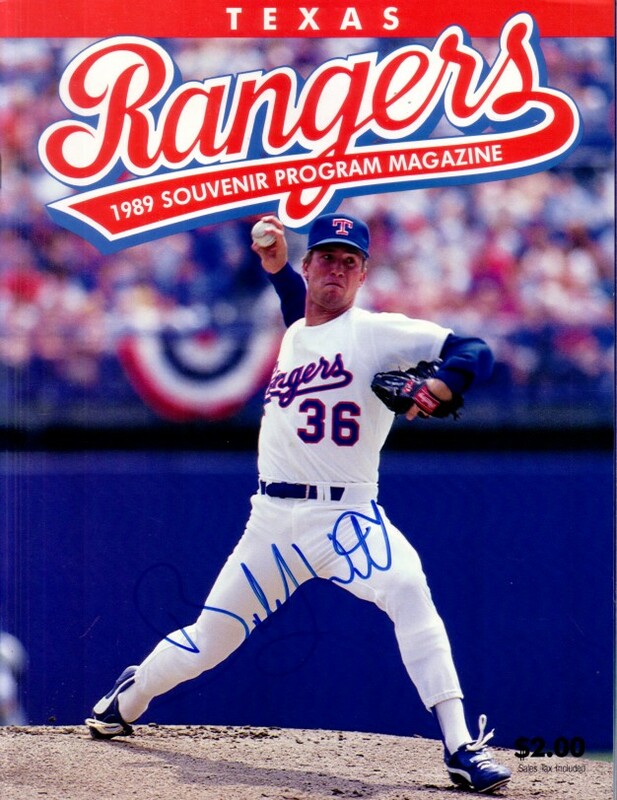 Original 1989 Texas Rangers program from the home series with the Oakland A's during which Nolan Ryan reached the unprecedented 5000 strikeout plateau (as indicated by the scorecard in the center), autographed on the cover by Bobby Witt. (Why the Rangers failed to put Ryan on the cover, no one will ever be able to explain.) PRISTINE CONDITION. With certificate of authenticity from AutographsForSale.com. ONLY ONE AVAILABLE FOR SALE.